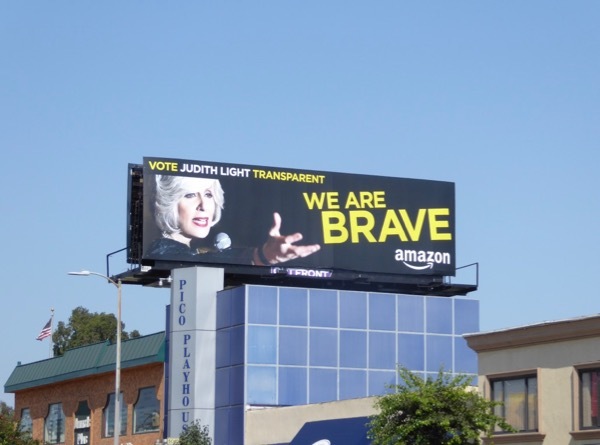 As time is running out for voting for the 69th Emmy Awards, Daily Billboard thought we'd shine a spotlight on the cable, network and streaming platforms campaigning in the city skies in the past few weeks since the nominations were announced on July 13, 2017. 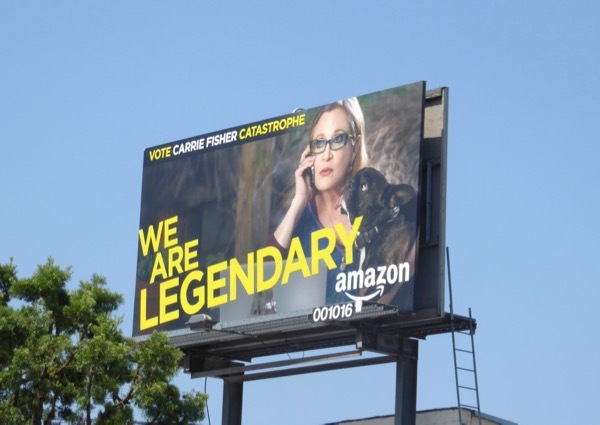 First up is Amazon Studios who hopes to impress Television Academy members with its dramatic and comedic offerings. 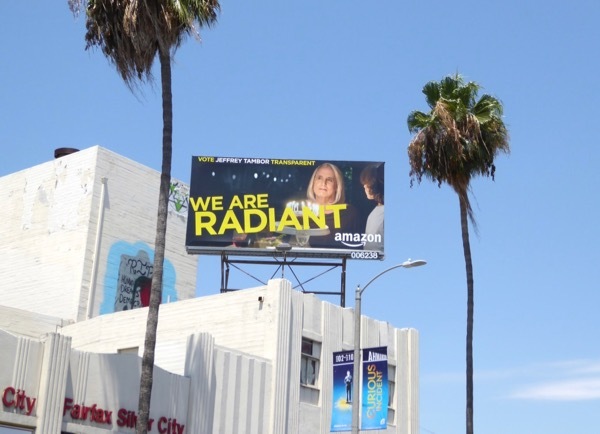 The streaming service had a wonderfully cohesive Consider an Amazon original Emmy campaign in May and June, and they've followed up with an equally bold collection of Emmy nominations billboards. Probably one of the most 'Provocative' to fill the city skyline is this ad creative for the sophomore season of the alternate history drama, The Man in the High Castle, which seems oddly timely with Nazis and White Supremacists freely marching in the streets of America at the moment. 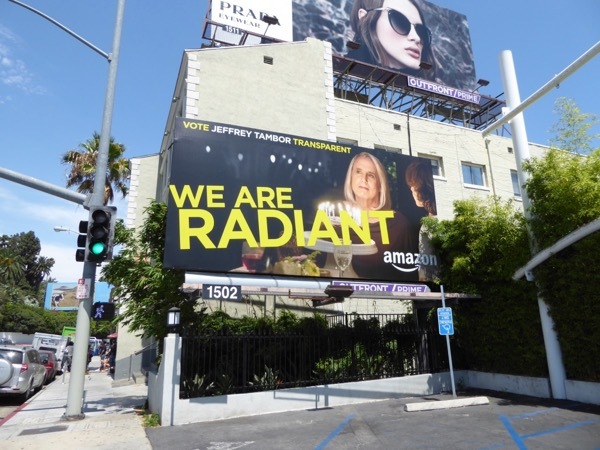 Amazon was one of the first in the skies with their outdoor Emmy nominations campaign and this 'We are Provocative' billboard for the show's three Emmy nods was snapped above Pico Boulevard on July 21, 2017. 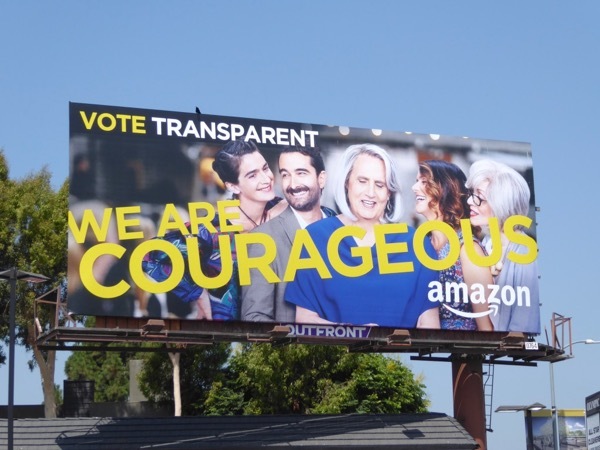 The groundbreaking transgender dramedy Transparent has already won eight Emmys for its first two seasons and its third season has garnered a further seven nominations this year. 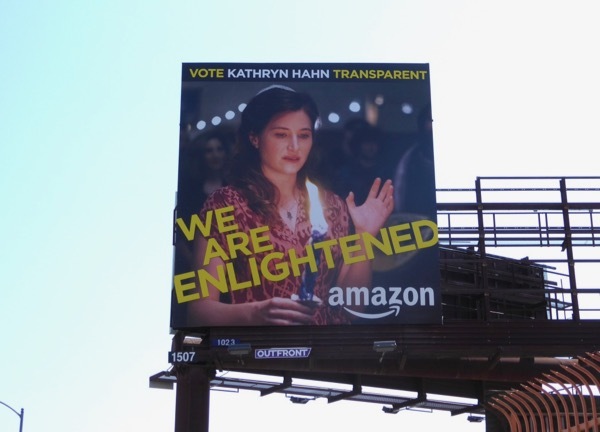 Jeffrey Tambor, Judith Light and Kathryn Hahn all received acting nods this season for their radiant, brave and enlightening performances as members of the extended Pfefferman family. 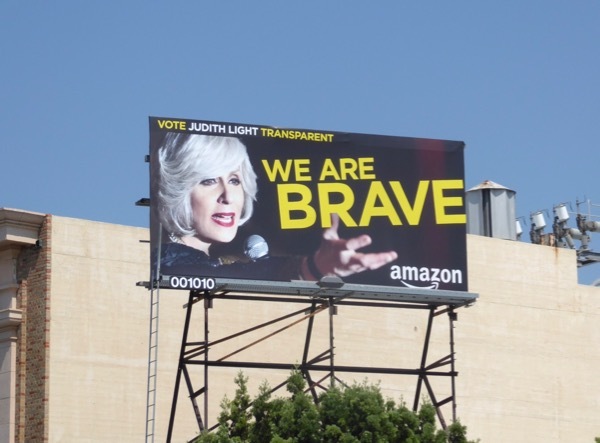 These Emmy nominations billboard for the 'Courageous' series was snapped along Olympic Boulevard, the Sunset Strip, La Brea Avenue, Fairfax Avenue, Beverly Glen Boulevard and Pico Boulevard from July 21 to August 9, 2017. With Donald Trump's recent knee-jerk decision to ban transgender troops from serving in the military, this show as it goes into its fourth season is even more important as a beacon of hope, education, enlightenment and comedy. 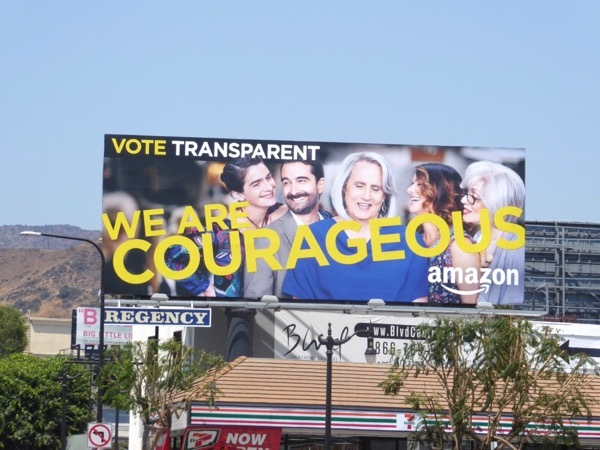 Even though us Hollywood Liberals already love this show, it would be nice for Transparent to win some more well-deserved Emmys this year and give a middle finger to one of the most divisive and homophobic Presidents to ever disgrace the United States. 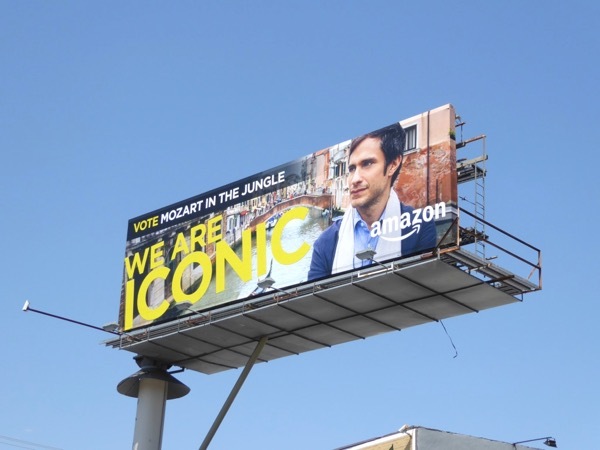 On a lighter note, Mozart in the Jungle brought us more joy through music and comedy with its third season as 'Maestro Rodrigo' (Gael García Bernal) journeyed to Italy to tempt an iconic opera singer back from retirement to give a show-stopping performance. 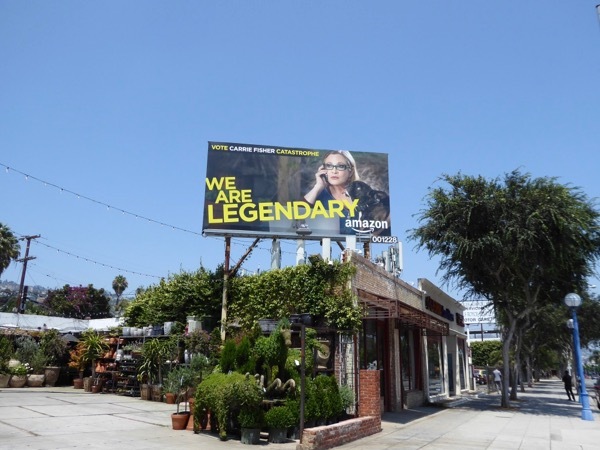 These 'We are Iconic' billboards for the show's three Emmy nominations were snapped along Melrose Avenue, La Brea Avenue and Pico Boulevard from August 2 to August 4, 2017. Let's see if the Golden Globe-winning series can add to the one Emmy it took home last year for its sophomore season. 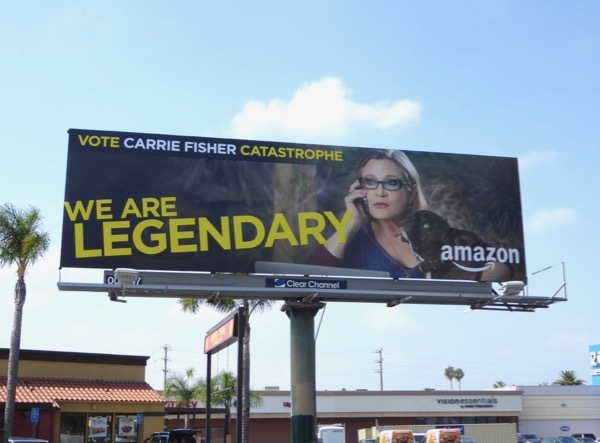 This season the most poignant and heartwarming Emmy nomination billboards filling L.A.'s skyline at the moment has to be for Carrie Fisher following her death at the end of last year. Sadly she didn't get to see her performance on the small screen in the third season of British comedy Catastrophe, but she certainly made an impression with voters for her elevated role as Rob Delaney's onscreen American mother. 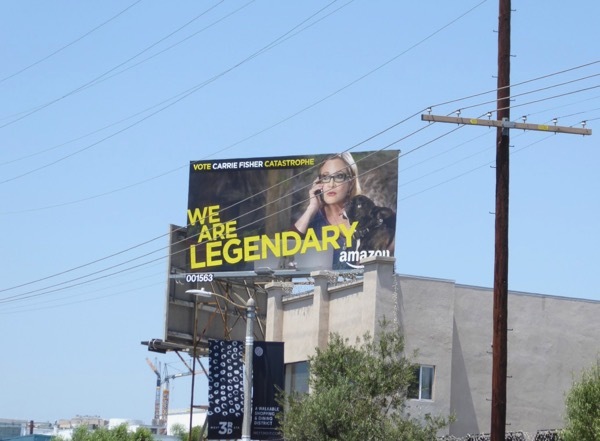 These 'We are Legendary' billboards in which the actress stars alongside her beloved French Bulldog Gary were spotted along L.A.'s 3rd Street, Pico Boulevard, Santa Monica Boulevard and La Cienega Boulevard from August 4 to August 6, 2017. It won't be long now until we find out the Creative Arts and Primetime Emmy winners this September. 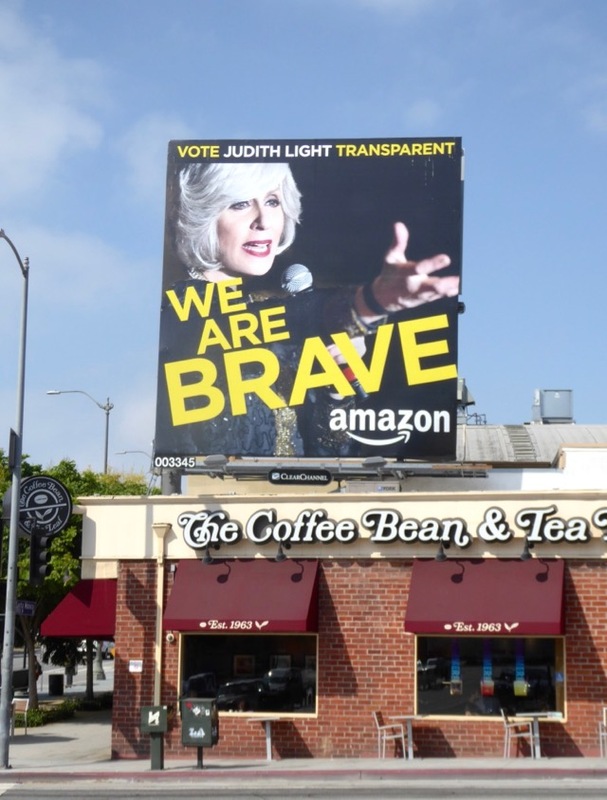 Place your bets now on how many accolades Amazon takes home this year and stay tuned in the days to come for more Emmy nominations billboards from the likes of Netflix, Hulu, HBO, FX, NBC, AMC and more besides.